Home » cricket news » IPL 2018, KXIP vs RCB: Will Kohli's men be able to register their first win of the tournament! IPL 2018, KXIP vs RCB: Will Kohli's men be able to register their first win of the tournament! 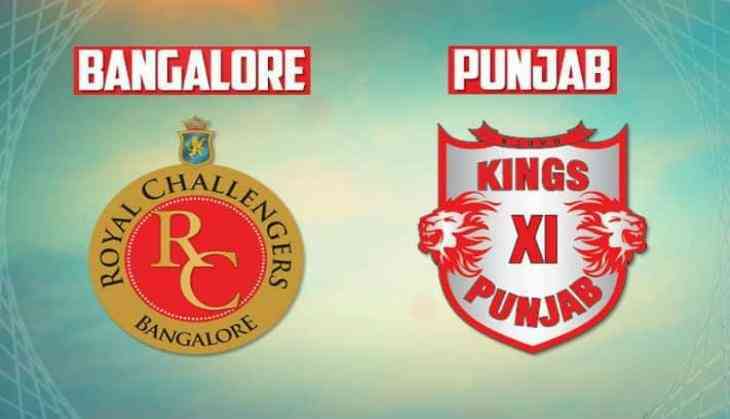 Royal Challengers Banglore will come to the ground with an aim to register their first win of the tournament against Kings XI Punjab. Kohli's men lost to Dinesh Karthik's army in RCB's last match played in Eden gardens. However, Virat has had enough time to rethink and bridge the gaps and find out the loopholes in their planning against the KKR. On the other hand, KKR would be brimming with confidence and excitement after their win against Delhi Daredevils. KXIP’s chase of 167 was powered by KL Rahul, who scored the fastest half-century in the history of IPL. Punjab is expected to come with a change or two, probably to accommodate Aaron Finch. That could mean that David Miller or Andrew Tye will miss out today's game. Brendon McCullum, Virat Kohli and AB de Villiers are the three batsmen capable of destroying any opposition on their day in the RCB batting line-up. Going by the bench strength, Banglore has the upper hand but KXIP is studded with explosive players like KL Rahul and Chris Gayle who can change the game in only a few minutes.